It is brutally cold outside with a Polar Vortex bringing record setting wind chill temperatures in many areas of the US. Minnesota seems to have gotten the brunt of the extremely cold weather that can be very hard on humans, pets, cars and Sewer Systems. If your property has an On-site Septic System then you need to be especially aware of the dangers of having extended periods of extreme cold. It is possible for Septic Tanks, Sewage Pipes and Drain Fields to Freeze in winter months. The team at CSI Custom Septic, Inc. are experienced septic professionals that provide cost saving services including Septic Inspections and Repairs. If you took our advice in previous blogs then you know how important it is to keep up on Regular Septic System Maintenance. Protecting septic systems during winter weather is essential since nobody knows if the winter will be mild or extreme. Before the ground freezes it’s a good idea to have the Septic Tank Pumped to avoid problems. A Professional Septic Inspection can tell you if the septic tank should be cleaned, if areas are damaged and if insulation is needed to Protect the Septic Tank From Freezing. Fix leaks in plumbing fixtures that could allow water to drip into the pipe and freeze in very cold weather. Deep snow can act as a natural insulation. Avoid compacting the snow or add a layer of hay, straw or mulch to protect the septic tank and drainfield from freezing. Run warm water through the pipes, take a hot shower, use the dishwasher and flush the toilets often. Moving water is less likely to form ice inside of the septic pipes. Open cabinet doors under the sink to allow heat to get to the plumbing pipes to keep them from becoming frozen. As an Experienced Onsite Septic Professional, CSI Custom Septic, Inc. has seen a lot of cold weather problems with Minnesota septic systems. 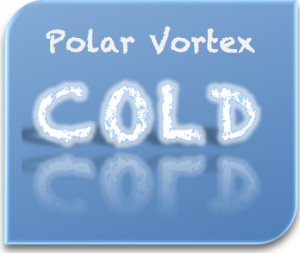 This most recent Polar Vortex could have negative effects on new, old or poorly maintained Septic Tanks and Drainfields. Starting out with a good design, proper installation and regular maintenance and inspections can Save You Money and Mess from a Frozen Septic System. Contact CSI Custom Septic, Inc. for a Free Estimate on Septic Services including Compliance Inspections and Septic Repairs at: 763-218-4769. Now Accepting Major Credit Cards! Call (763) 218-4769 For More Info. © 2019 Custom Septic Inc. All Rights Reserved.